Are your kids abound with energy this summer? Maybe they are running amuck inside, and you just need to get them outdoors and keep them occupied? Well we have the solution for you! Check out our top 5 list of the best places around Adelaide to take your kids this summer for a fun filled day out. 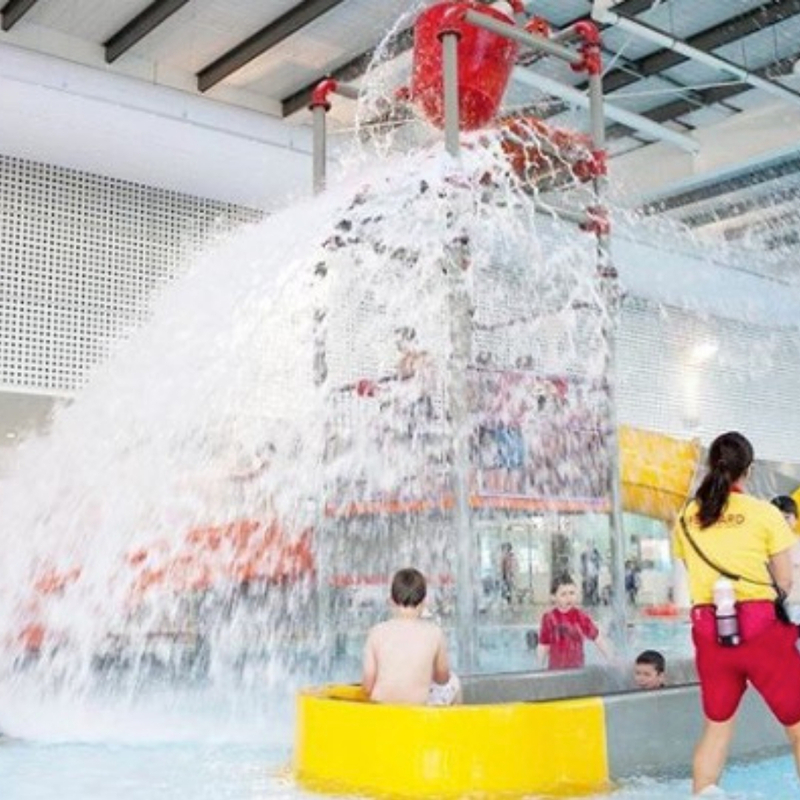 If it’s cooling down at the beach, riding the waterslides or splashing about in the pool, there’s also many other enjoyable kids activities in Adelaide for the summer. How about feeding some kangaroos or even ziplining high above the ground? It’s all here! Get the kids stuck in a having a ball. 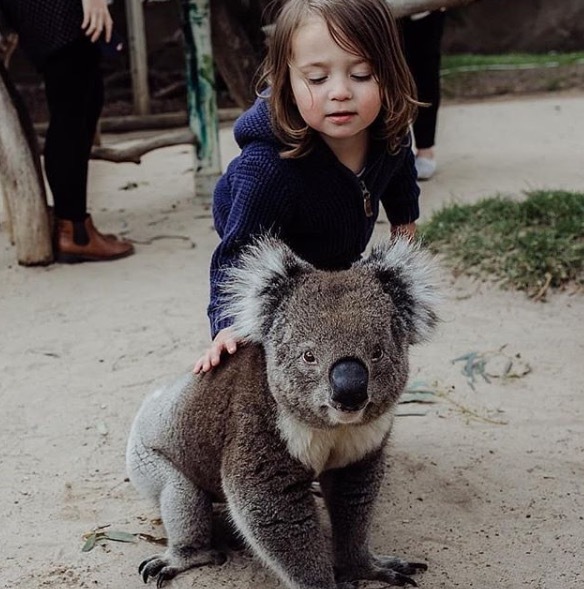 Get down south of Adelaide to Victor Harbor this summer and find one of the most engaging and involved tourist attractions for kids. Urimbirra open-range wildlife park is where it’s at! Only a short 40 or so minute drive from the Adelaide, here you can find an animal-lovers paradise. 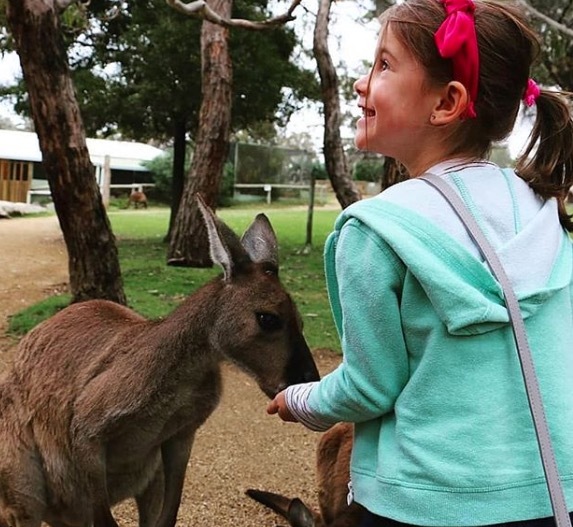 From feeding kangaroos, to holding koalas and handling snakes, the kids are sure to get a kick out of their own experience here. 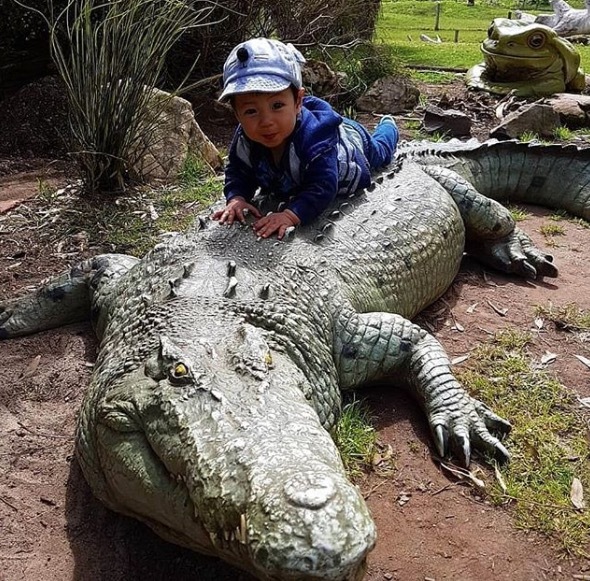 Urimibirra wildlife park is a great place for many kids activities. Let the little ones roam free amongst the nature of the Fleurieu Peninsula, but just be careful. There may even be a crocodile or two crawling within the park (safely enclosed of course!). Photo by Alix Marshall, Kristy & Vannsy Huynh. Try a summer kid’s activity of a different sort this summer. The Beachouse at Glenelg offers an undercover arcade style centre that includes waterslides and a mini-golf course. It’s the closest thing to a theme park in Adelaide with a ride-on train (running through the mini-golf course! ), F1 themed dodgem cars and the ever popular bumper boats. 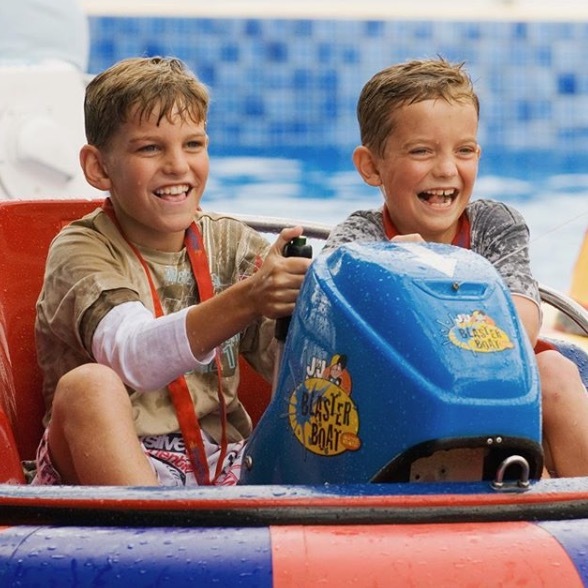 Remember to bring the kids bathers if they wish to ride the waterslides or use the bumper boats as they will get wet. There’s a large café inside the Beachouse useful to feed the hoards and when the kids need a cool snack break there’s also plenty of ice cream on offer too. Up to date arcade style games are also a big hit for all the kids and morning and afternoon lock-ins are available too. Photo by The Beachouse. Up for doing something different this summer? Something the kids may have never tried before? 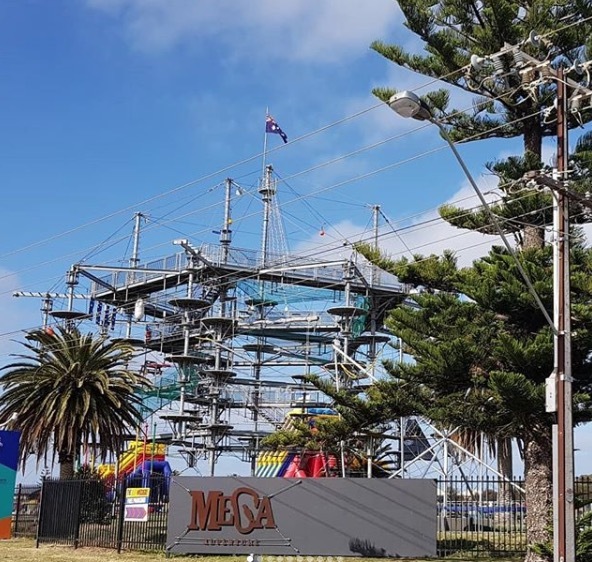 With the weather clearing up for summer try ‘hanging’ out at Mega Adventure Park in West Beach – Adelaide’s premier zip-line adventure attraction. Ideal for any school aged children, safely strapped into a harness they can manoeuvre through a ‘sky-track’ of obstacles including a dangling picnic table, wire walks and a floating row boat. This is a one of a kind experience and is a truly challenging kids activity not found anywhere else in Adelaide. Try the skywalk for a test of the kids balancing skills or try the Sky Challenge – an obstacle course set high above the ground. Whichever they chose we’re sure the kids will be talking about it for ages! Photo by Daniel Moreno. Take a small road trip and travel one hour south of Adelaide to get to Normanville beach. This tucked away beach along the Fleurieu Peninsula is a great beach getaway for the whole family and a great place for the kids to run amuck and splash about in the ocean. 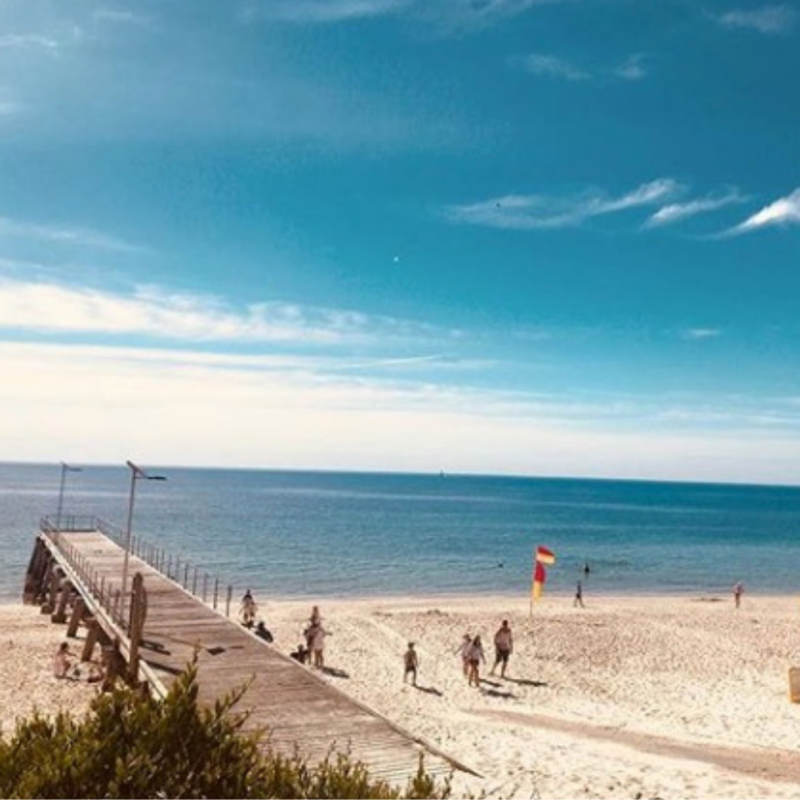 There are local shops, cafes and food marts just minutes drive away from Normanville main beach. Here grab ingredients for a picnic lunch on the beach and enjoy a long day in the sun – just remember to bring the sun cream. Even let the kids try a go at fishing on the iconic Normanville jetty. If not the beach here is a perfect landscape for beach sports. So get the kids out the house and ready for some fun in the sand and sun. Summer is here so get the kids moving! Photo by Gareth Hughes. Looking for a fun time in the water without the worries of trying to sun block the kids and avoid the harsh sun? Look no further than the South Australian Aquatic and Leisure Centre at Marion. This newly built centre of all things swimming and water related is located only 15-20 minutes outside of Adelaide. Here you can find giant looping waterslides for the older kids (considered the fastest in Australia), and a splash park and toddler pool for the little ones. Even get the young ones (10 and under) to try the big ‘splash bucket’ that will have them waiting for the next big splash. There’s also a large café for when those little tummies get hungry. So hop-to! Get the kids in their bathers, jump in the car and get ready for a ‘splashing’ good time. Photo by Bump Into Mums.